Gov. 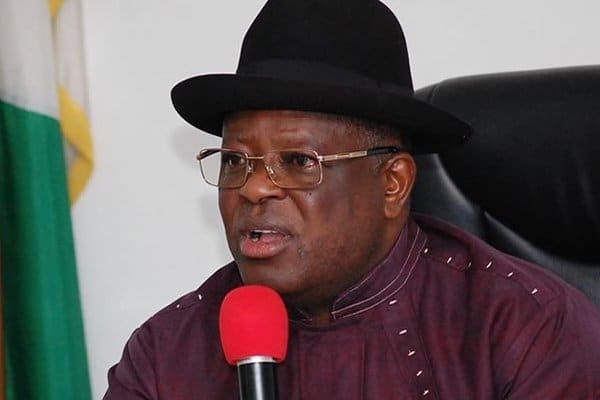 David Umahi of Ebonyi has said that he is not ashamed to call President Muhammadu Buhari his friend despite belonging to the opposition People Democratic Party (PDP). Umahi made the assertion on Friday night in Abakaliki during the quarterly media chat/ dinner as part of celebrations to mark the nation’s 58thanniversary and 22nd year of the state’s creation, noting that their relationship was beyond politics. The governor remarked that the State Government would name the one and half kilometres glass tunnel it is constructing after Buhari as it would be one of the best in the world. “I want to state that aside my wife, Buhari remains my only boss and should be respected by Nigerians because of his status as the president. “Buhari as the president, is the symbol of the country just as the governor’s are mini-presidents in their respective states. “The fact is that as a human being, he might not be doing everything correctly, but the citizens owe him prayers and understanding to lead the country aright. “I have said repeatedly that I don’t have to insult him to show that I am a PDP member and it is not my duty as a governor to insult the president. “This does not mean that I do not identify with the ideals of the PDP, but it must be stated that those who say they are supporting Buhari in Ebonyi are only deceiving the people,” he said. The governor noted that the opposition in the state was only interested in his job and not genuinely supporting the president, vowing not to allow them to take the position from him. “The northern senatorial zone of the state produced a governor who served for eight years; the central zone did the same and the southern zone where I hail from should be allowed to complete its eight-year tenure. “This is the tripod on which the state’s equity rests and even though a sitting governor wanted to truncate it, God brought a David in my person to ensure it was maintained and it will be maintained till the end,” he said. Umahi urged Nigerians to realise that power comes from God and to check the brazen quest for political offices which has brought several problems to the country. “Politicking has recklessly taken the centre stage in the nation’s affairs and if such is not checked for the next four years, it would be difficult for the country to handle its consequences. “The common man in the country just needs food on his table as politics has become a means of profiteering even from those who have nothing to offer to the people,” he said. The governor, who took time to enumerate his administration’s strides in the areas of infrastructure, agriculture, education, heath, human empowerment, among others, noted that his decision to modernise the state capital was irreversible.